If you are planning to get the most of your two week vacation and want to see the whole country (or even two or three), to study the culture and life of the citizens, rich history of the country, relax on the sandy beach of the Mediterranean sea, while living in a private villa with swimming pool at the backyard and all for the price of a good hotel - Welcome to Larnaca! Larnaca has most favorable location, equidistant from almost all the most interesting places in the island. Among them two there are "two capitals of Cyprus" - Nicosia and Limassol, white beaches of Ayia Napa and Protaras, with their sights and histories, bars and clubs, concerts and exhibitions; Cypriot villages, each glorifying at their craft, whether lace, silver jewelry, wine, sweets or olive oil, or etc . ; the birthplace of the goddess of love, or the Cyprus Olympus in the Troodos Mountains. Larnaca is surrounded by legends and ancient buildings. A lot of religious people go to famous Christian churches and Muslim mosques of Larnaca, preserved from the times of the Turkish yoke. Naturalists prefer to come to the salt lake located in Larnaca, where they can see pink flamingos. You can stay in Larnaca from several hours to several days and have a wonderful journey. You will be offered to walk along city's waterfront on an old boat, or go on a cruise to the neighboring country or on a huge liner. Larnaca Airport is the main one in Cyprus. Now it accepts several European low-cost airlines. Therefore, you can fly to Athens for 20 euros. However, this requires an open Schengen visa. Therefore, this town is perfectly suitable for a family holiday with children. Every month of the season offers a variety of fresh seasonal fruits. Nearby Larnaca there is a camel farm where regular performances are organized to entertain children. On the beaches there are lots of tourist playgrounds and restaurants offering children's menu. The location of the airport in the city prevents tourists from long roads and save lots of time which is convenient when travelling with children. A weekly rental will cost you considerably less expensive than a hotel stay. Your own schedule will enable you to spend more time in some interesting places, try local cuisine or visit more than one town. In addition, we offer a range of services to make your vacation easy and comfortable: qualified babysitters, personal trainers in all kinds of sports, cooks, drivers and much more. Why not organize yourself a fabulous vacation easily without stressing out. 7. 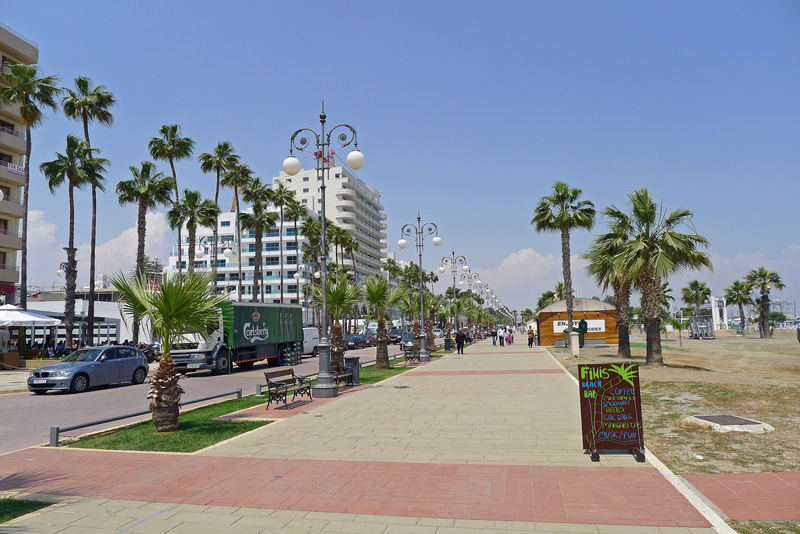 Tourists usually find Larnaca very amusing and entertaining and hardly ever want to leave this magical town.